ClickSign will allow you to sign any PDF document in the easiest way. You won't need to open it. Any document extensión can be signed using ClickSign. 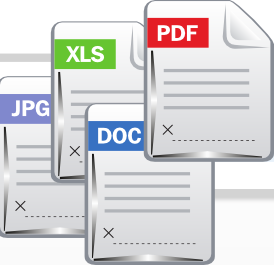 XML documents, will be signed using XMLDsig format. Any other extensions (except PDF) will be signed in either attached or detached PKCS#7. Available in clicksign Pro. This means more tan a signature might be added to a document. Customize signature fields with any imatge. Groups of documents will be signed with a chosen digital certificate, by just moving them to a chosen input folder. Once signed, will be moved to the chosen output folder. Available in ClickSign Pro. This allows ClickSign usage from third pary applications. This can also be done from ClickSign. The request will be sent using PortaSigma. When signing with the free version, a watermark is added to the document, for letting other people know about ClickSign.